An original very large British abstract colourfield oil on canvas by John Bainbridge Copnall. 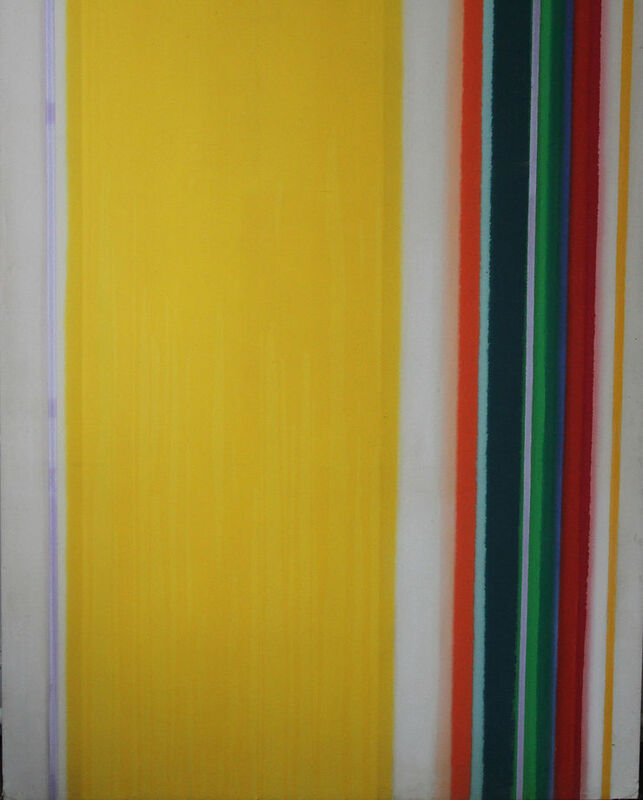 This British Abstract Composition in Yellow, Green, Red, Blue and White" is a vertical lines "zip" painting landscape. The painting is stunning and dates to circa 1970.